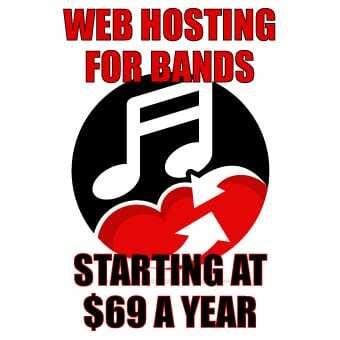 Tickets are on sale now via AXS and Eventbrite for the co-headliners’ May 2nd, 2019 concert in Morrison, Colorado. Tickets are on sale now via AXS and Eventbrite for the long awaited headliners’ May 2, 2019 concert in Morrison, CO. Anyone who knows the iconic stage can tell this is a summer event people will talk about long after the two Northeast-based bands bow out. 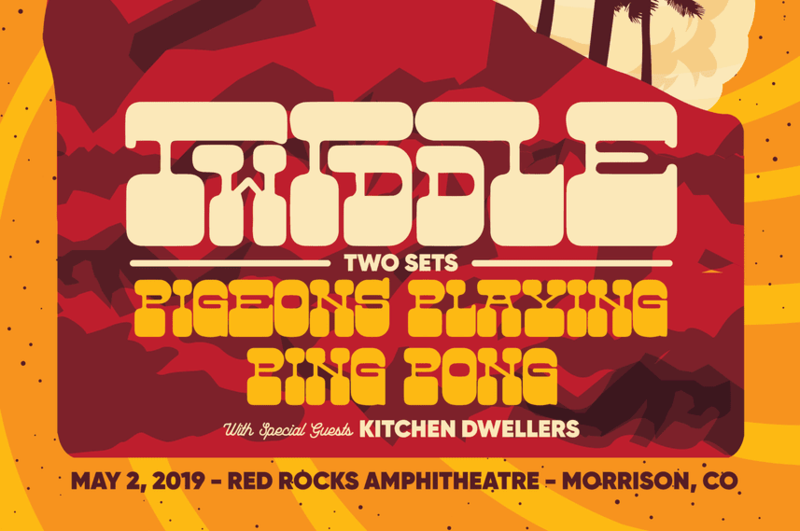 Kitchen Dwellers are set to make a special appearance along with co-headliners Twiddle and Pigeons Playing Ping Pong. 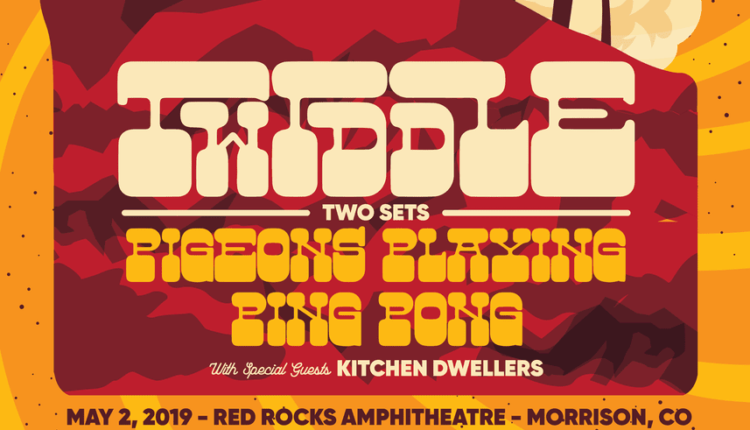 While Twiddle has headlined Red Rocks once before, Pigeons Playing Ping Pong are eagerly anticipating this May as their first Red Rocks performance as headliners. Sharing this experience with Twiddle in particular, makes it extra special for the quartet of Pigeons Playing Ping Pong. 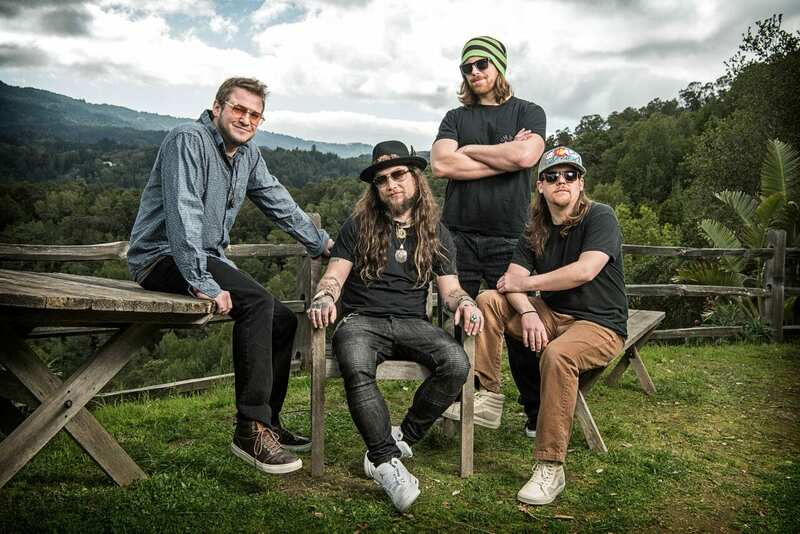 They have a unique bond with Twiddle, based on previous venues they’ve shared together in the last five years. The two groups really developed alongside each other — from their initial smaller pull of about 200 audience members to now headlining a major venue like Red Rocks together. 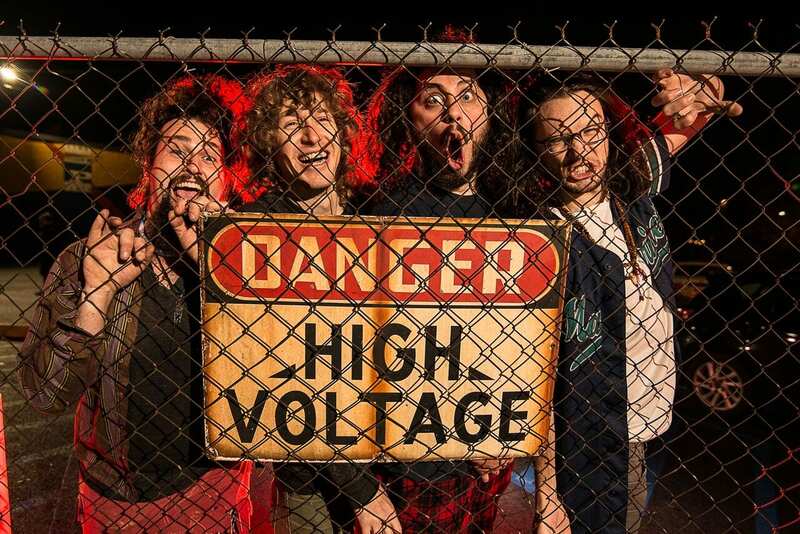 Ormont described the upcoming Red Rocks concert as being like a, “dream to come true.” Fans can expect a collaborative rock-funk sound that the two bands are able to produce due their familiarity with one another.